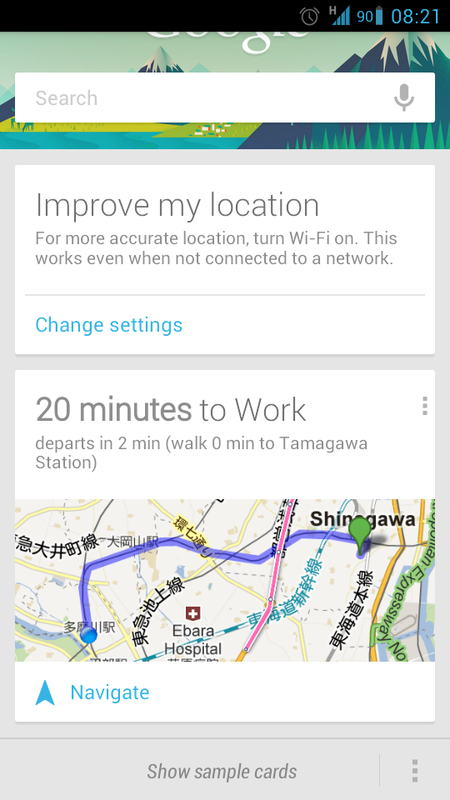 Google NOW seems to work very well with voice commands for me. First of all, it is able to understand with 80-90% accuracy (compared to around 30-40% accuracy when I tried Siri last year). 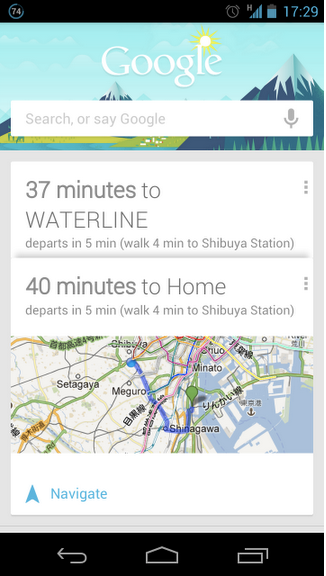 In addition, for seaches like "How to go to Tokyo", "How to go to home" - it directly shows the route along with the navigation. For searches like "Where can I get pasta" it is directly showing locations along with reviews etc. Saying something like "Delta airlines flight from Tokyo to San Francisco" brough a nice status card of today's flight along with the google search results. On a separate note, since you are using Nexus S, have you been able to use the NFC for any meaningful purpose in Japan other than check Suica/Pasmo balance and history. 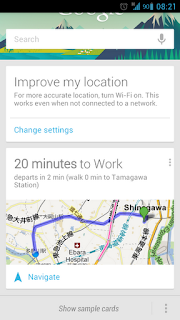 It is fairly obvious that Google Now isn't ready for Japan, but no doubt some good people in Google Japan will be making changes. It feels like a very, very powerful tool, just not quite there. 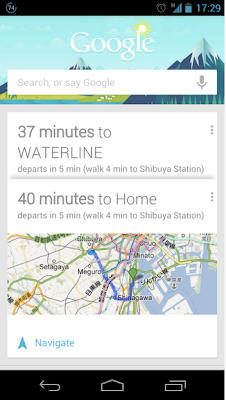 Can't wait until an API is out - I'd love to have package tracking, Japanese sports, favorite TV shows, etc on there too.